HK8005 ex London Bus owned by J Markham, Blue House Farm, Laindon, trading as 'Laindon Pioneer' - 1920. 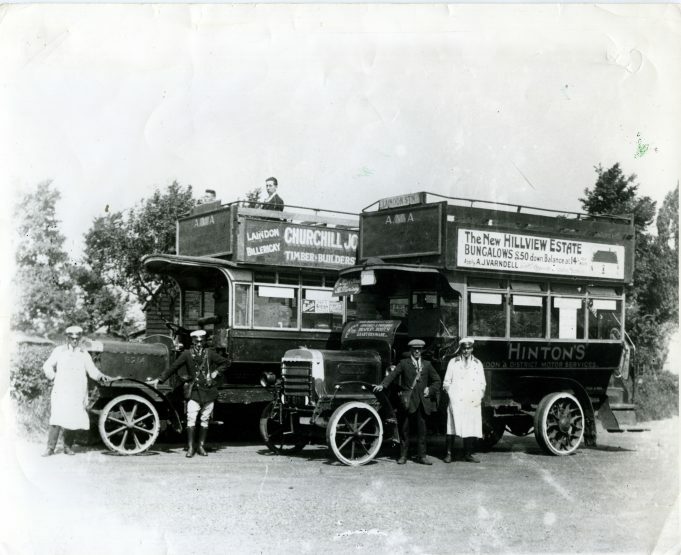 J Hinton - Charabanc Outing. 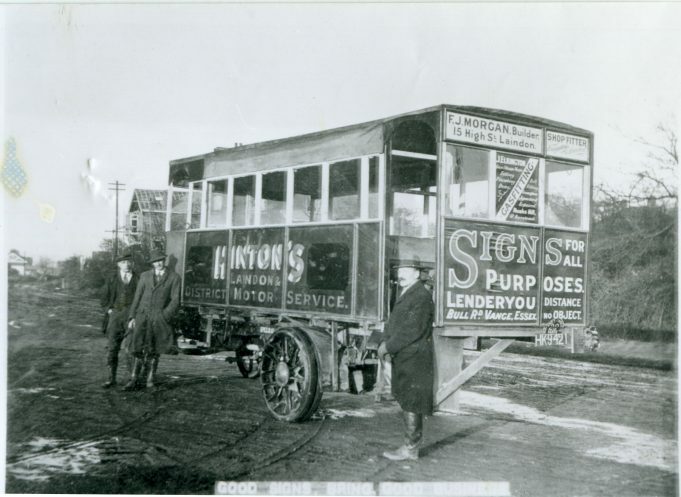 Hinton's Laindon and District Motor Services. 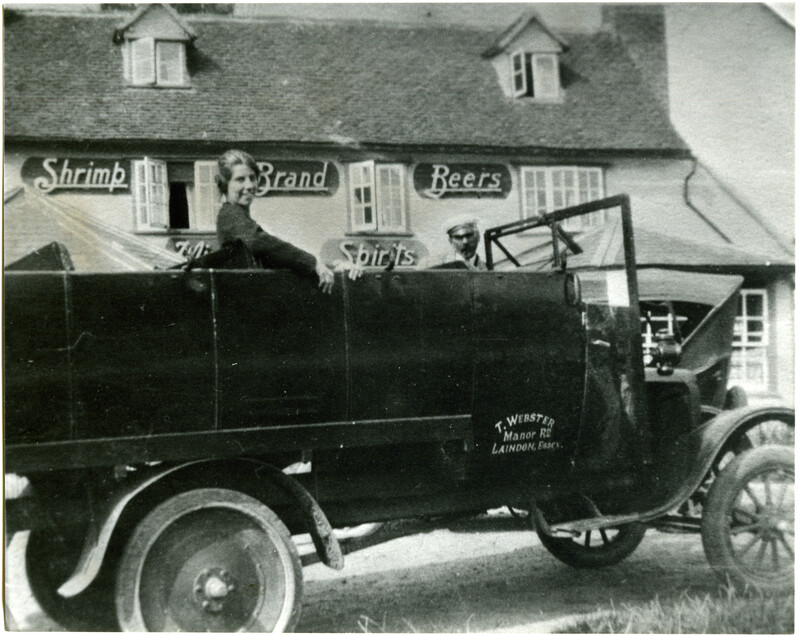 King's Road, Laindon, garaged in Francis's yard. 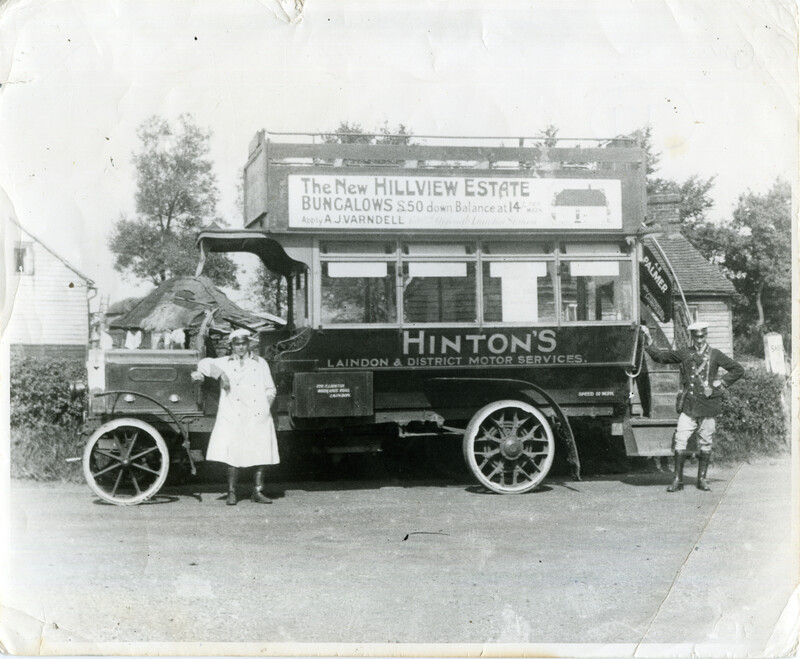 Hinton's (2 vehicles) Mr Hinton senior - Mr Nuttall - Bill Patrick. Tom Webster of Manor Road, Laindon. 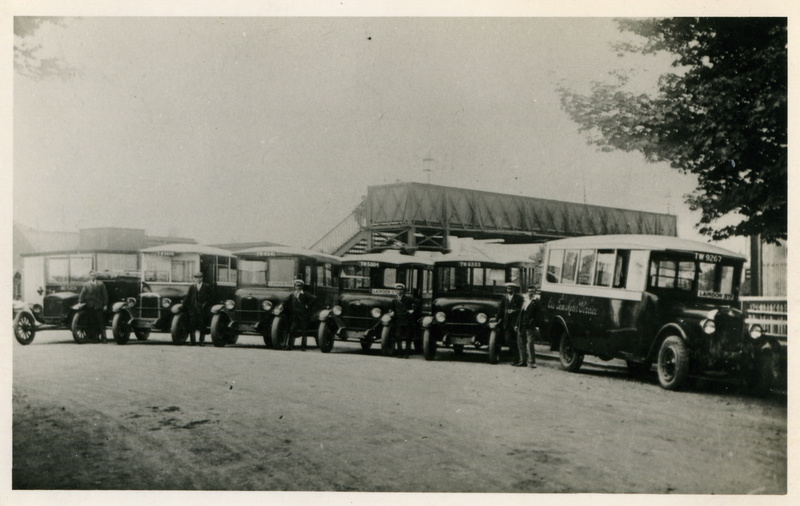 On an excursion. 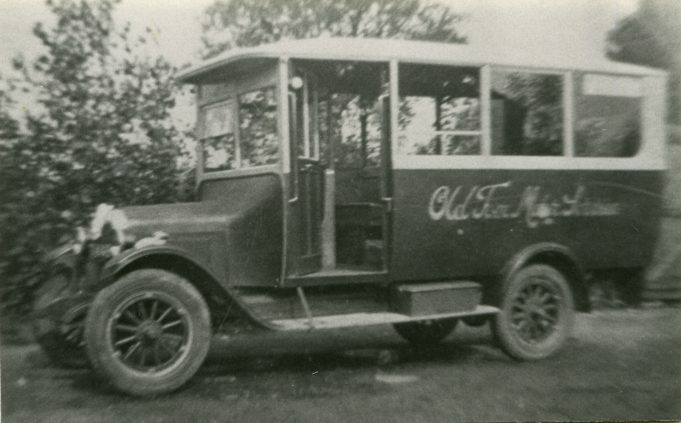 Old Tom Motor Services bus in Manor Road yard. 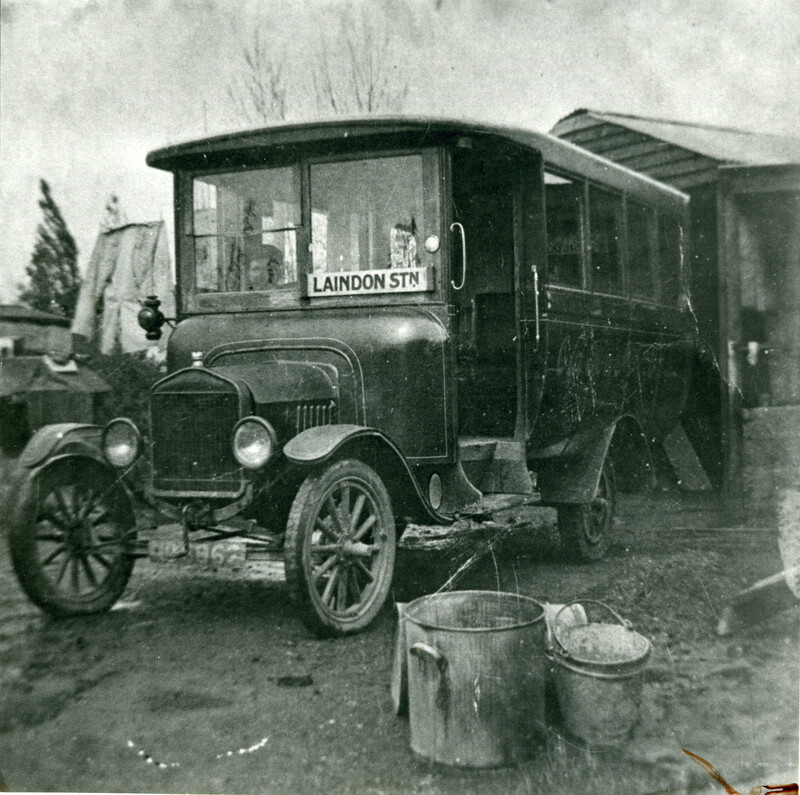 Old Tom Motor Services at Laindon Station. 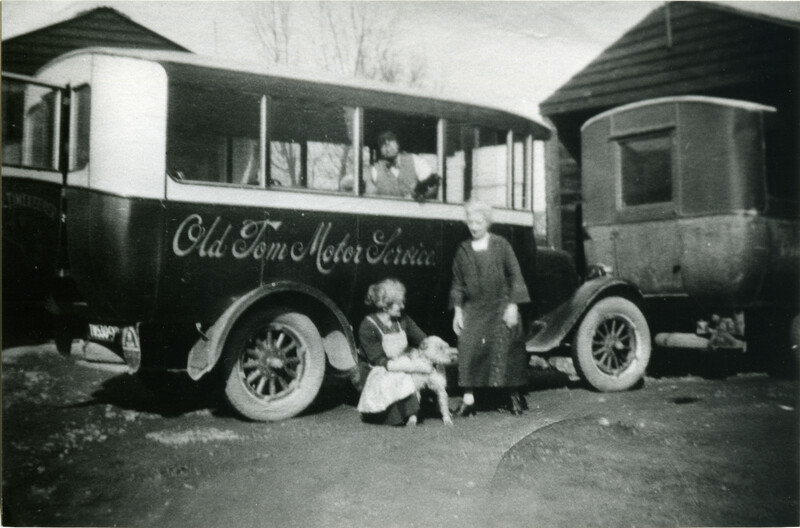 Old Tom Motor Services - outside Laindon Hotel. 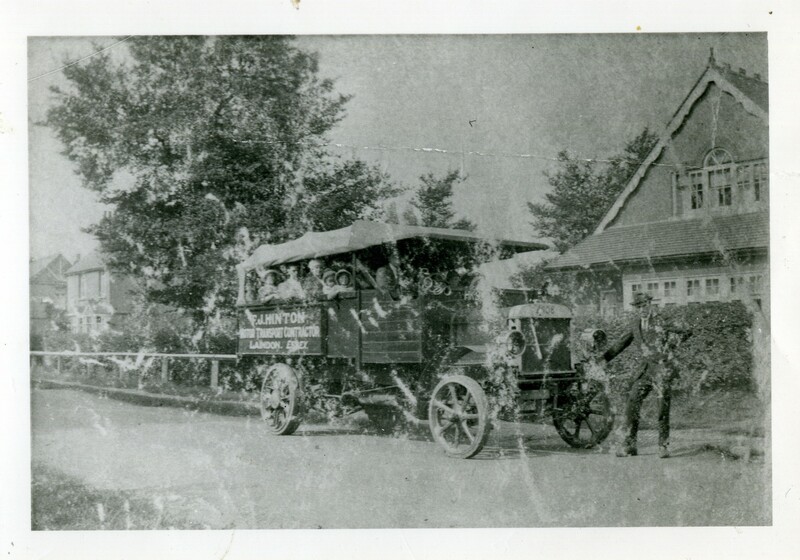 Old Tom Motor Services with family in yard. Old Tom Motor Services with conductor at Laindon Station. 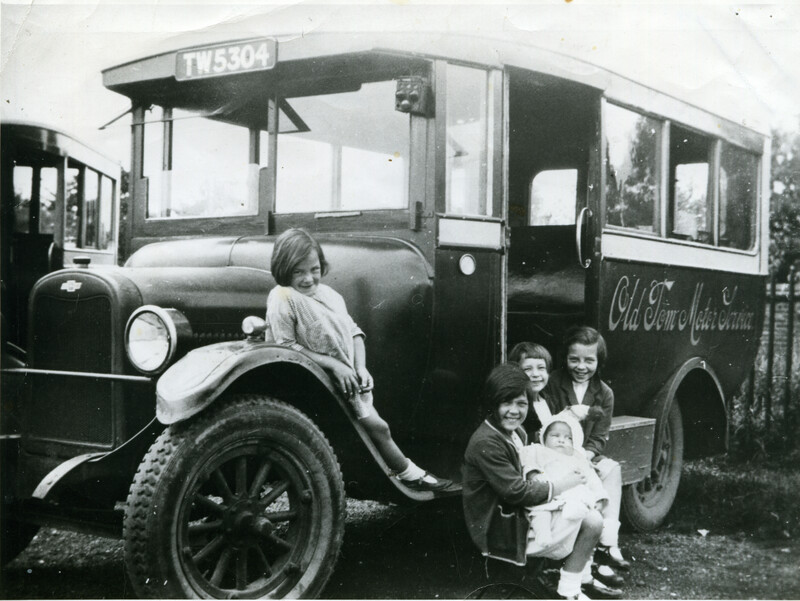 Old Tom Motor Services in yard with Carter children, ready to travel to Wickford market (1927). Left to right: Edna, Eileen (holding baby Marjorie), Joan and Vera. 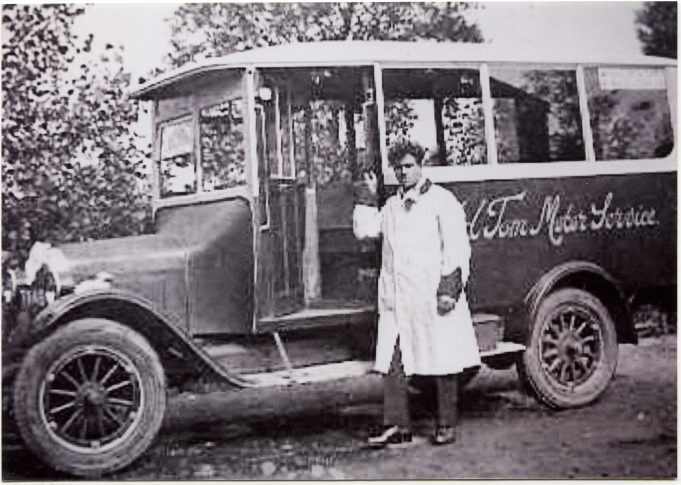 Old Tom Motor Services with driver. Old Tom Motor Services at Laindon Hotel (new in 1929, sold in 1937). 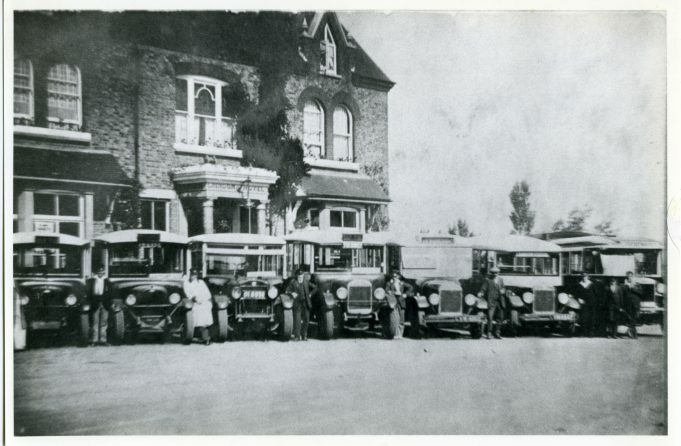 In response to Donald Joy’s comment regarding the changes made to the Laindon Hotel building with buses in the foreground. The first picture on page one was taken approx. 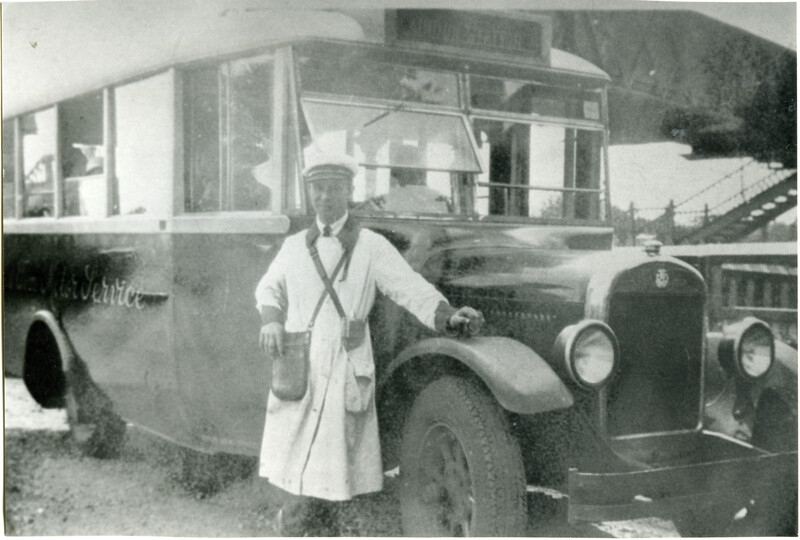 1936 and the second one in the 1920’s both when the building was in its original state. 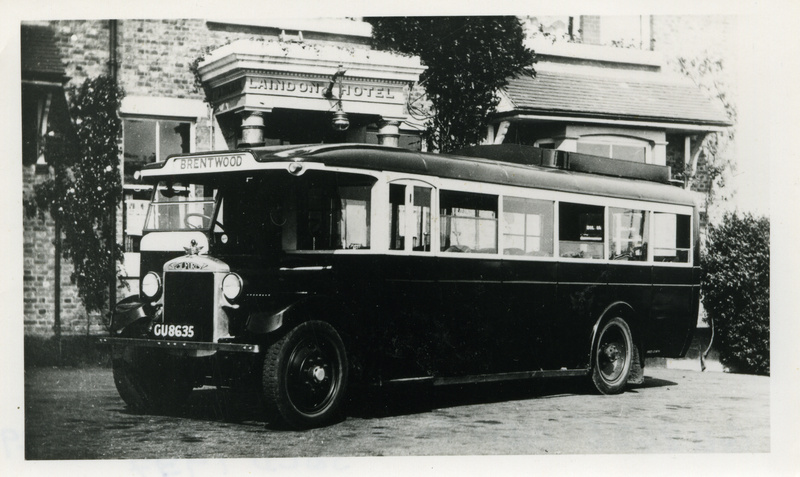 The picture on page two with the Green Line coach was taken in 1986 after a refurbishment had taken place when we believe the Hotel had changed hands and was re-named The Laindon. By the early 90’s it then closed and stayed empty for a few years until one afternoon the roof mysteriously caught fire and we presume the building was rendered not fit for anything other than demolition. The remains of some of the foundations are still there to this day fenced off until someone decides to develop the site. The new Laindon Police station arrived on the corner of Durham Road up to the car park area of the old Hotel and the adjoining land up to Aston Road is being developed by Toomey gradually. Comparing the photo on page 1 of the Laindon Hotel with the one on page 2, with the Green Line coach outside, I find it hard to comprehend that this is the same building. It must at some time have had a huge amount of work done on it. The windows on the upper floor have even changed shape. Was this just a simple case of modernisation or a case of damage repair as a result of the war? Not that it matters much as it looks even more different now that it’s gone! 2nd photo from the bottom one with driver! 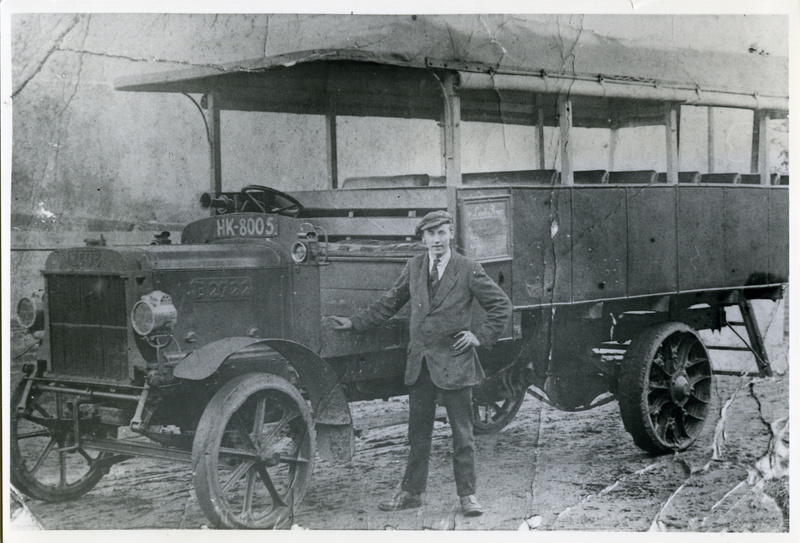 The driver was Tom Webster Junior, my grandfather.